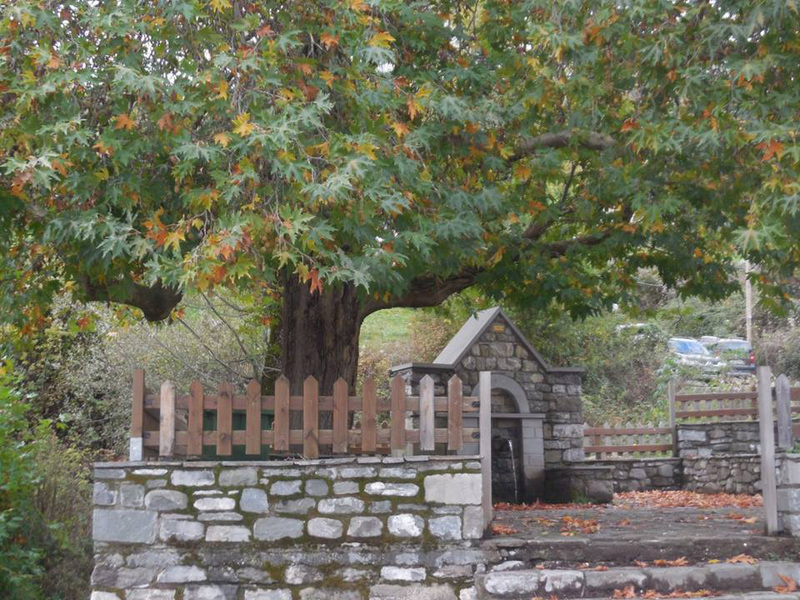 Vourmpiani is located at around 90km away from the city of Ioannina and 35km from Konitsa and is one of the 39 villages of the municipality of Konitsa. It is bordered to the east by the local community of Oxia, south and southwest with the local communities of Amarantou and Pyrsogiannis, west the village meet the Greek-Albanian’s borders and on its north side the borders of Asimochori’s local community. Flourished particularly from 1700 to 1900 as it was the largest village in the area, thus it can be confirmed from the services the village provided at that time, such like the boarding school, the three parishes and the military company. In addition, the population according to the census of the year 1895 was numbered in 1779 inhabitants. 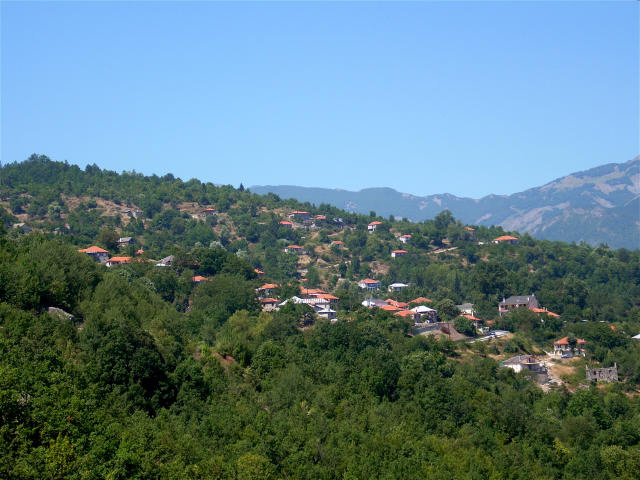 The famous village Vourmpiani, after which our guesthouse is named, is spaced at the foot of mountain Grammos north of the village Konitsa. At an altitude of 920m., with back view of the proud Grammos and view of the mountains line of northern Pindos, the traditional settlement of Vourmpiani with its old mansions, its legendary boarding school and the magnificent central church of Panagia, seduces, calms and attracts visitors on a safe pleasant route exploration of the past, relaxation and delusion of the senses. You can listen to the beautiful stories of local residents, become enchanted by the landscape, explore nature, come close to the rich fauna and flora of the region and magically flood up your heart with feelings like joy, carefreeness, loving and optimism. Vourmpiani is also an ideal base for excursions around the area, as most of the rest Mastorochoria villages are located less than 20 minutes from it. Besides, other interesting villages worth visiting are located less than an hour from Vourmpiani. Moreover, our village is the ideal starting point for walks in the deep forest of pine and beech, from which it is surrounded. Furthermore, hiker has the possibility to explore the paths of mountain Grammos following whatever path he wants, it is worth noting that most trails have recently been marked. Grammos the magic mountain. It is declared from one of the most competent international organization called "The friends of nature", which gave the area one of the two nominations for the prize of "Landscape of the year" in European Union. It is also declared even from those who have visited the area and left blurred from the majesty of nature, impressed by the richness of hidden life and excited. 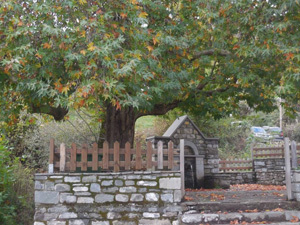 The paradise of Grammos has everything - unique landscapes, historic villages, mountain climbing, hunting, extreme sports, ecological trails, rare animals – that the reason why it is the paradise of the alternative tourism. 5 points of the area not to be missed! Vikos Gorge, journey time from the guesthouse 40’. Grammos, journey time from the guesthouse 20’. Bridge of Drosopigi, journey time from the guesthouse 20’. Church and school of Vourmpiani.